Steel mounting plate for TimePilot Vetro simplifies hanging the clock on the wall and provides some security. 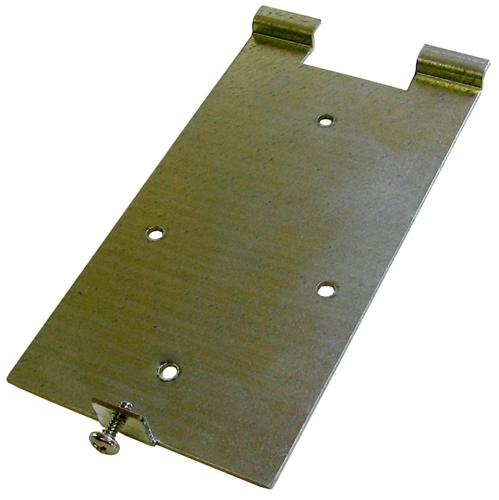 Plate mounts to wall; two hooks at the top of the plate fit indentations on the back of the clock; the Vetro is secured to the plate with a screw at the bottom of the assembly. Zinc coated; measures 5 inches by 2.5 inches. Contains four holes in a diamond pattern. Includes security screw.